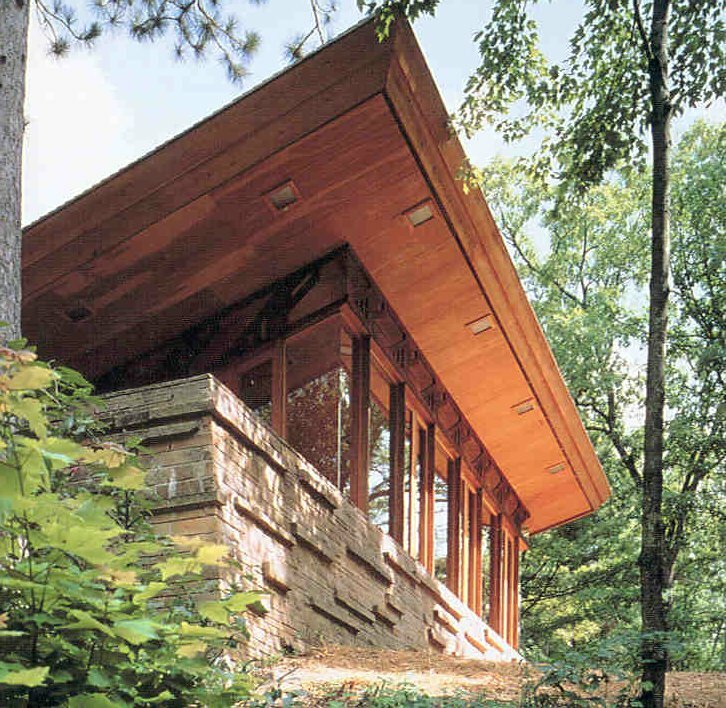 The Seth Peterson Cottage in Wisconsin, one of Wright&apos;s last commissions, features a wall of windows overlooking a lake. Frank Lloyd Wright fans, rejoice! If you’ve always dreamed of spending the night in one of the master architect’s creations, you’ve got several possibilities to choose from. One, a Frank Lloyd Wright farmhouse, is a bed and breakfast, but the other five rent as a vacation houses. Most of the homes are in the Midwest (not surprisingly, considering the proximity of Wright’s Oak Park studio and Taliesin encampment), and all are located in wooded settings, allowing you to soak up the beauty of nature alongside the incomparable architecture. After completing the restoration of their Wright-designed family farmhouse in 2005, Mike and Sarah Peterson opened up the master suite for bed-and-breakfast lodging. Guests can page through letters written between Wright and the Muirheads, and look through the Petersdorfs’ restoration journal. Boasting a wall of windows overlooking a lake, this one-bedroom cottage was one of Wright’s last commissions. 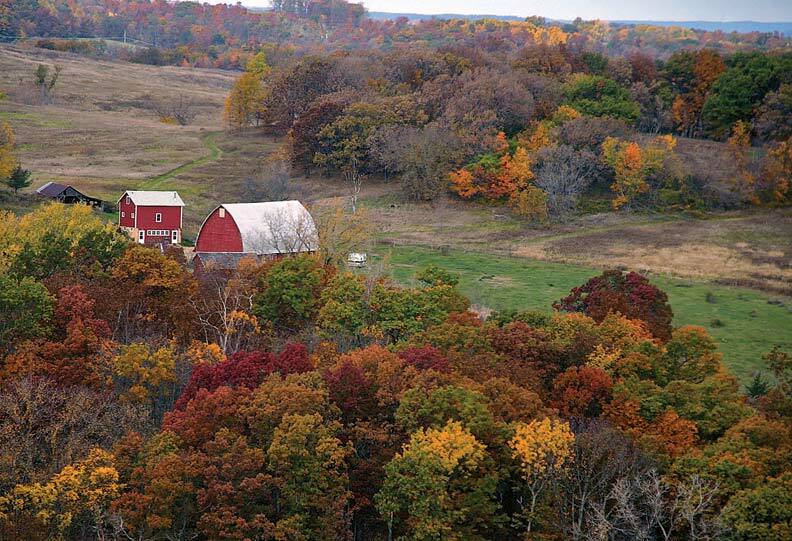 In 1989, a band of local citizens came together and formed a conservancy to undertake a $300,000 restoration project. In addition to offering nightly stays at the cottage, the conservancy also holds an open house the second Sunday of each month. 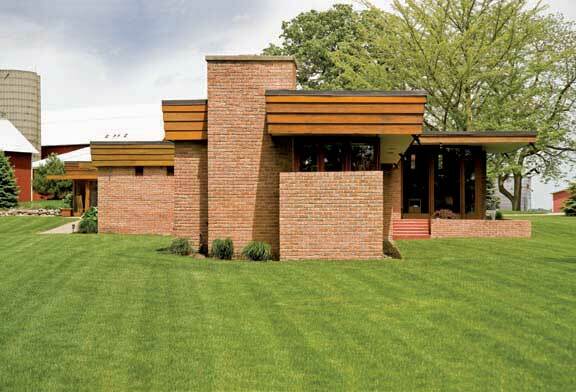 The design of the three-bedroom Usonian Penfield House is a direct nod to the stature of its owner—its upward-reaching windows, an anomaly compared to Wright’s squat Prairie designs, were built to accommodate the 6’8” Louis Penfield. Penfield’s son, Paul, and his wife, Donna, rehabbed the home in the early 2000s and began renting it out to architecture buffs soon thereafter. Determined to preserve the atmosphere of a house, rather than a museum, the Penfields don’t give tours of the house—if you want to see it, you’ve got to live in it. The centerpiece of this wooded Pennsylvania compound envisioned by Wright protégé Peter Berndtson is the Duncan House, which was dismantled and moved from its original Illinois location, then rebuilt on the site. The Duncan House shares the 100-acre Polymath Park with three other Usonian-style homes for rent (one of which, the Balter House, was designed by Berndtson). In addition to lodging, the resort also hosts public and private tours of the homes, as well as on-site dining and special events. 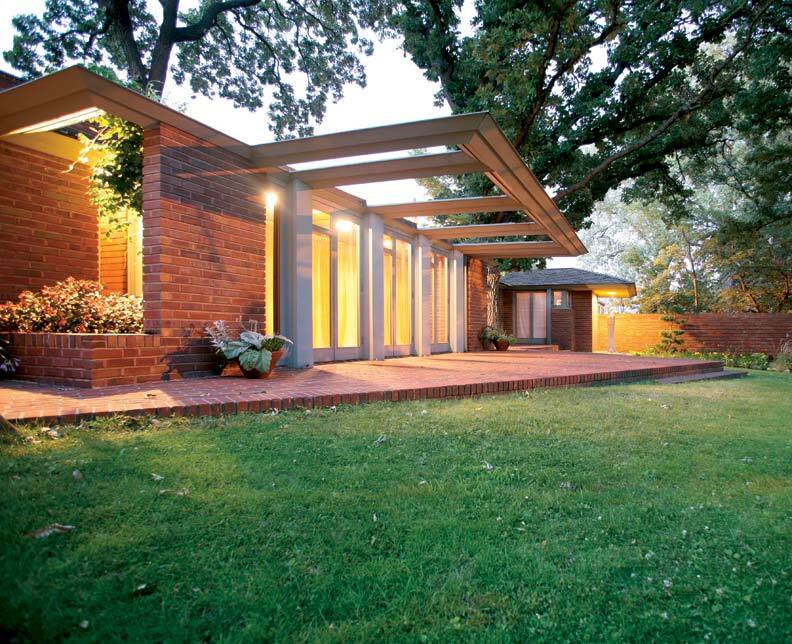 Originally designed as “Dream House” for Life magazine, this four-bedroom Usonian, dubbed “Still Bend” by Wright, sits on the banks of the East Twin River. Brothers Gary and Michael Ditmer are the third owners of the home, and have taken great care to preserve its signature features, including wraparound built-in seating, geometrically patterned clerestory windows, a soaring interior balcony, and a distinctive trellis over the terrace. Public tours are given the first Sunday of every month. Find out where the best Frank Lloyd Wright sites are in his home state of Wisconsin.